Glandless circulation pump with cast iron pump housing and threaded connection. 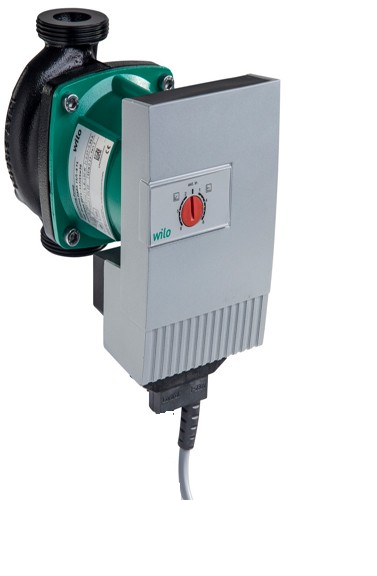 EC-motor with automatic power adjustment and self-protecting modes. Operation by Red Knob technology and delivered with power cable. Convenient setting of the pump via Red Button technology with operating mode p-c and p-v.